Last edited by Adama; 12-05-2007 at 12:12 AM. I find it,good giveaway and good luck everybody. Last edited by goysalh; 12-05-2007 at 01:41 AM. Please don't send PM me about trade or wanting any invite.If I see somebody really need some tracker I will send invite. I would like to be considered for TR as well. My name is Adam. I like trance. I like trance an awful lot. I got into trance about a year ago. Since then I have found nothing else like it. I have downloaded hours and hours of trance. I am looking for an invite to TranceRoute because I love sharing trance with people around me. Trance has hit me like no other music I've ever heard. Ask my friends, they thought I was a werido for listening to Trance (I live in the US), but then I converted some of them and now they are addicts such as my self. I don't expect to get invited. I just wanted to be honest with you guys. I like being part of the Trance community. I feel this tracker would be a great way for me to help share trance with people. 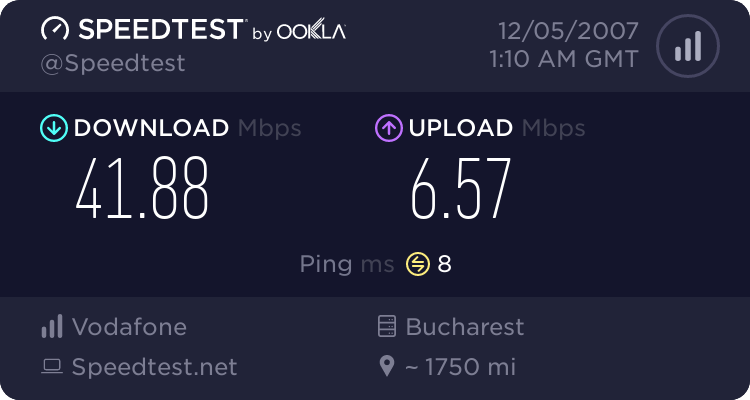 At the moment, I cannot provide a speed test because my seedbox is down and there is where my dl/ul would be coming from. Can i have please,iam crazy about music. Well I got into trance some time ago from friends. My only trance source has been Waffles.fm, and I'd love this account. I've converted a few other friends into Trance music also It's hypnotic and I've never been hooked on any kind of music before. I've listened to all kinds, country, ska, rock, rap. Rock used to be my favorite until I found Trance. Since then the only rock I still listen to is J-Rock. All trance for me now. I'd be really grateful if you picked me. My dream is TT, but TR is good enough for me. Last edited by virtus134; 12-05-2007 at 01:37 AM.